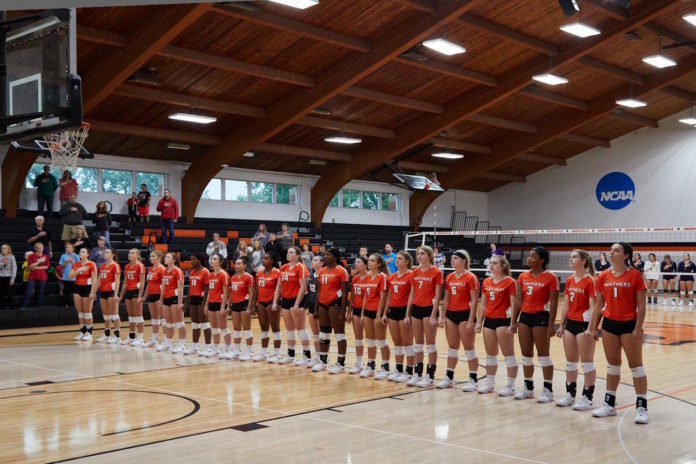 The Greenville Women’s Volleyball team are no strangers when it comes down to winning SLIAC conference championships. The Panthers are currently second (6-1) in the SLIAC standings behind Westminister College (6-0). The third spot is being held by Principia College with Webster University holding on to fourth. Overall, GU holds a record of 10-7 with 14 more games to go. This volleyball program is something special and as we all appreciate their dedication and willingness to compete, I think it’s also important to recognize those receiving special honors. Anna Finch “rising” to spike the ball. Media by Darrin Stewart. Anna Finch, a 6’0 foot sophomore from Moline, Illinois was able to show off her skills and earn herself SLIAC defensive player of the week! The middle blocker pulled off an impressive 17 blocks for the week. Finch expresses how she felt super grateful to receive this award. At the same time, however, she was very surprised because she did not expect to receive it at all. As a recognized captain on the GU volleyball team, Finch was able to give some insight into what being a captain consists of. She reveals that organizing and handling teammates’ issues is a huge part. This also comes along with cleaning uniforms and constantly encouraging her teammates to be their absolute best. When asked about her vision for the rest of the season, she expresses how she would love to see them grow closer to one another. She recognizes that they have a special team, and she feels like they can accomplish some incredible things. Teammate Abby Freeman who also was able to pick up another SLIAC weekly honor had some special things to say about her captain. She was quick to say, “I love Anna. She is very consistent on the floor. When the team needs a crucial play, we look to Anna”. Freeman reveals that she has always been a good teammate who keeps the rest of the team level headed and positive. Anna hitting another one down. Media by Darrin Stewart. As Anna is recognized as a leader on the squad, her opinion is extremely crucial. When asked about her relationship with Abby, the first thing Anna had to say was “Abby is like my sister. We encourage, support, and love one another on and off the court”. She recognizes that Freeman has a bright future ahead of her and she can’t wait to see what’s in store for her. She goes on to say, “I love watching her succeed and I am so proud of the amazing person she is becoming”. 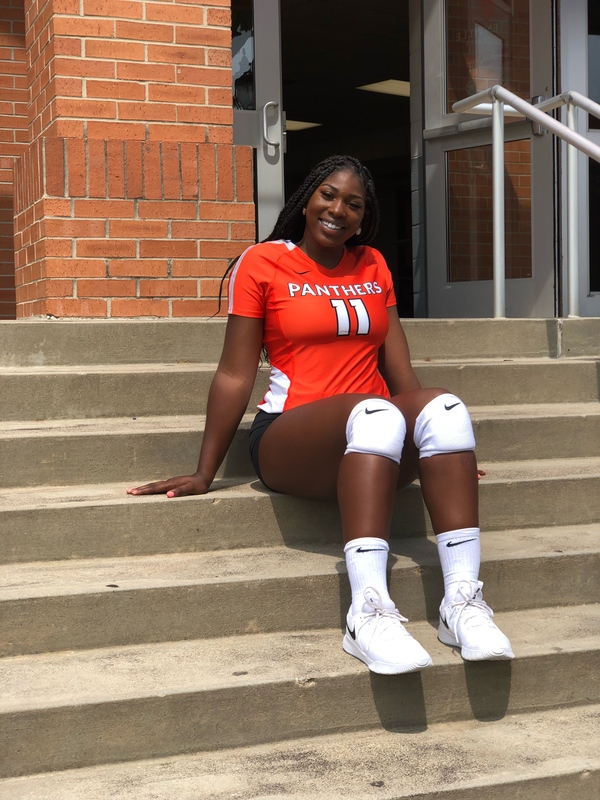 Freeman, who is no stranger to the spotlight just made a lifelong goal come true as she found herself in the Greenville Panthers record book! The underclassman was able to put down 31 kills in a 5 set win over North Park which broke the previous record of 28. As I talked to Freeman about this huge accomplishment, she admitted that she was in shock. She originally didn’t even know there was a record until Head Coach Tom Ackerman informed the girls in the huddle that they made history that night! Abby Freeman. Media by Brittany Lopez. What made this moment even better for Abby was that it happened in her hometown so her mom and the rest of the family were witnesses and were able to experience this with her. Freeman is thankful for these honors and admits that she called this year to be her breakout season. 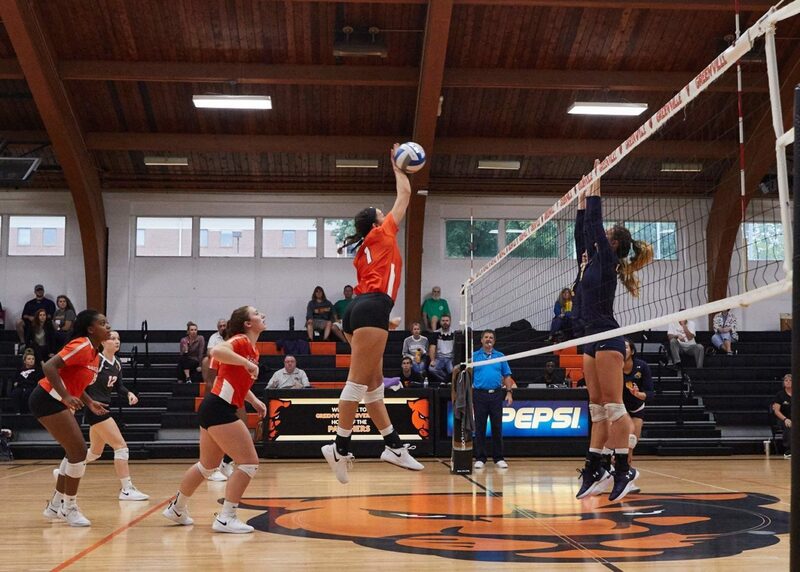 Abby is currently in the run for D3 Women’s Volleyball HERO of the week (9/26/2018)! 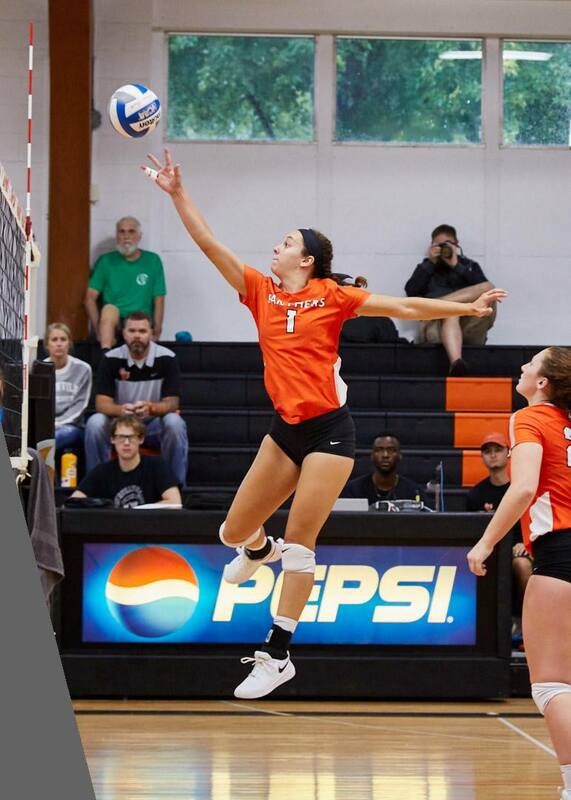 We love to support our athletes here at Greenville University and we ask that you show your support too. The link to vote is provided above and from there, just scroll down to the bottom of the article to give Abby your vote! As you can see, the Women’s Volleyball team has some special individuals to be proud of. Their accomplishments are such a great representative of our university and what we strive to create here at Greenville. We wish these two nothing but the best along with the rest of the program! The GU community is excited to see these athletes continue to dominate the SLIAC conference! Great Job Brittany! Good detail and interesting information filled with facts and personal stories.